When a woman becomes pregnant for the first time, they had to make many decisions. During pregnancy, the umbilical cord is the life of the baby attached to the placenta. The umbilical cord contains two feet twisted long vein which transports oxygen and nutrients from the mother’s placenta. Also, two arteries which carries oxygen as well as nutrient less blood from foetus to mother. As the blood of mother does not mixes with the foetal blood so the placental and the cord blood belongs to the baby. 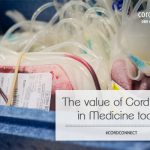 The umbilical cord is previously considered as medical waste but now-a-days it can be said as a biological treasure. Previously the stem cells are being extracted from the bone marrow of the patient itself but this process was too much painful. 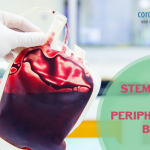 The reason behind is the extraction of stem cells from bone marrow requires surgery that is being done by the use of anaesthesia and also requires drug which helps in stimulating the production of stem cells. However, the process of stem cells extraction from the umbilical cord blood is painless and is done during the birth of the baby. Stem cells are basically blank cells that can be transformed into any cell type like a muscle cell, a brain cell, or a red blood cell. Through their sibling donor cord blood transplantation program, which began in 1997, Children’s Hospital Oakland doctors used stem cells from umbilical cord blood to cure more than 100 children with chronic blood-related diseases . According to the American Cancer Society, however, at least 16,000 people with chronic autoimmune disorders are unable to receive the bone marrow or cord blood transplantation they need every year as they cannot find a match. Some researchers suspect that there are other cells in the umbilical cord blood that may have therapeutic effects beyond the blood. For example, specialized immune cells can tweak brain function. Trials around the world are currently under investigation to study the capabilities of umbilical cord blood in a wide range of diseases such as cerebral palsy, autism, diabetes, and lupus. In Alzheimer’s disease and other neurodegenerative conditions, the cells are even being tested for an improving role. Researchers are excited about the potential powers of these cells. But it is far from clear what this scientific hope means for expectant parents facing cord blood banking decisions. There are many reasons for all the promise why umbilical cord cells may be less useful than thought. 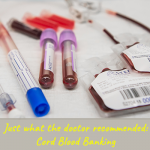 Apart from the drawbacks, the use of umbilical cord blood is much more important for saving the life of any patient. Hence storing of the stem cells from the placenta or the umbilical cord is useful. Stem Cell Banking Placenta, stem cells. permalink.